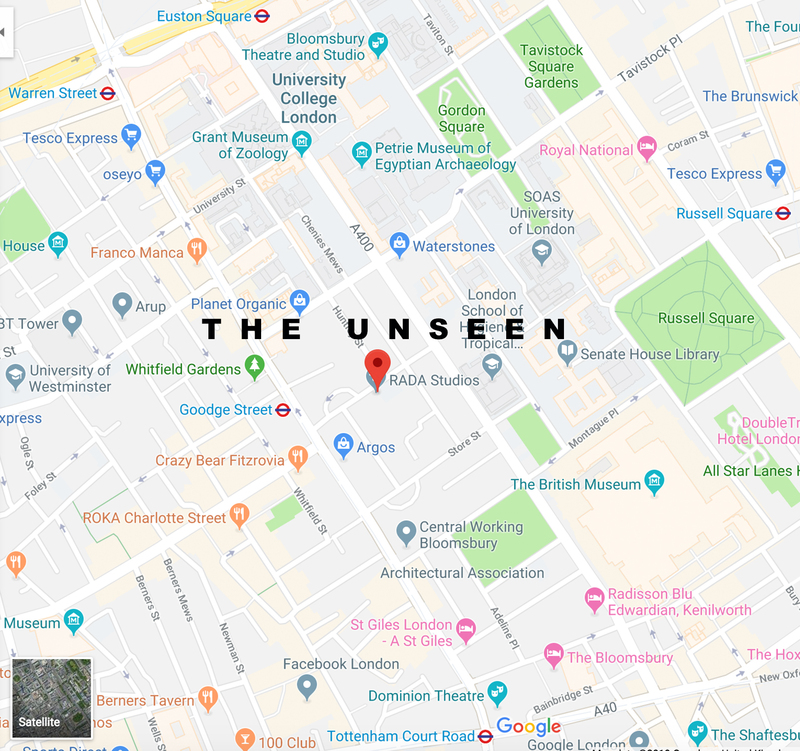 The Unseen 'TAKE 1' studios are based 2 minutes from Goodge Street Station, 5 minutes from Tottenham Court Road Station and 10 minutes from Euston Station in Central London. (RADA, 16 Chenies Street WC1E 7EX). The Unseen 'TAKE 2' studio sessions are based at 'Spotlight studios' 5 minutes from Leicester Square Station in Central London. (SPOTLIGHT, 7 Leicester Place WC2H 7RJ).